I am disorganised in everything I do. No matter how many blogs I read, planners I download or notebooks I have, my WIP remains in disarray. Currently, I use Scrivener with my outline set out on the corkboard and several scenes written but I also have several unfinished notebooks, Evernote, Google Docs and endless scraps of paper with ideas, scenes and random sentences dotted around the house. As my family said if I found all the words I have written over the years I would have more than the target of 90000 words for my WIP instead of my measly 30000. Many 1000s have been lost including some from NaNoWriMo last year so it is time to get organized and rein in my grasshopper brain. I could be a lost cause. I am sure I am, after all, I can not make a cup of tea without the use of timers to remind me what I am doing; waiting for the teabag to do its thing always gives my imagination time to slip into the world of Ellfaen. It is time for Project Organisation if I have any chance of completing my New Years resolution. I have deleted 100GB from my old creaky laptop in the hope it will last another November. I didn’t even know it was capable of holding that much. Dug out my plot board and gathered all the post-it notes which have fallen off. Collected all my notebooks and paper together. Explored NaNoWriMo resources by Eva. 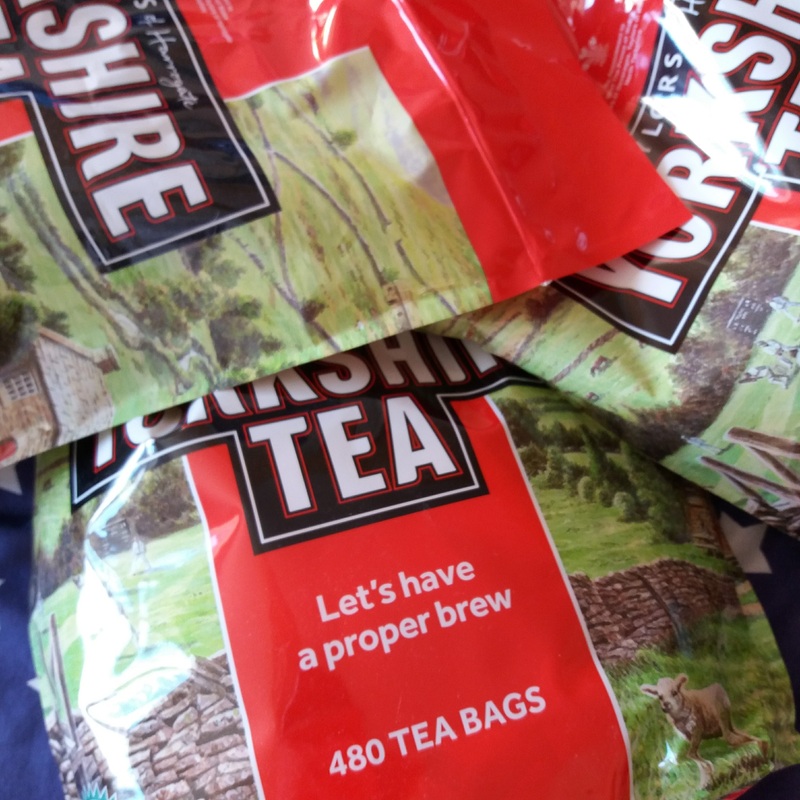 Bought more bags of Yorkshire tea to keep me going. Are you taking part this year and how are your preparations going? 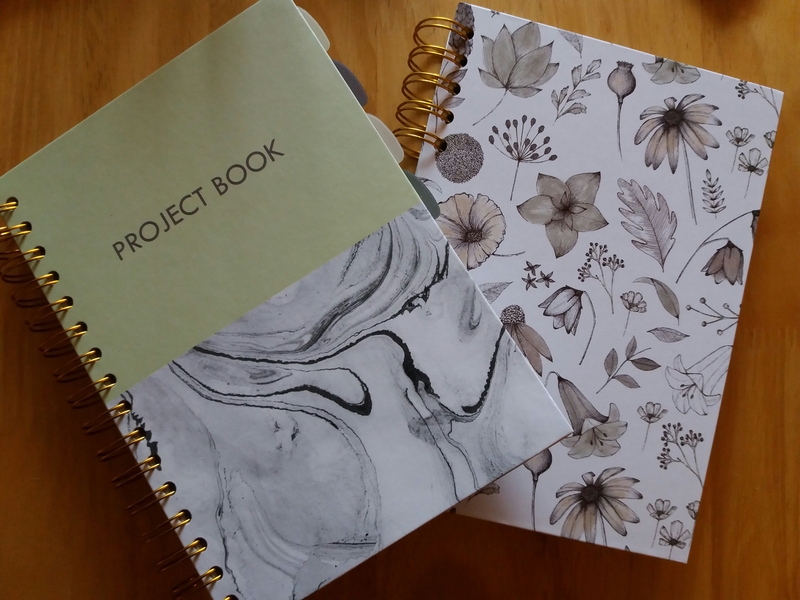 * I am unsure why I need more notebooks apart from the desire to own something pretty and the notion my mind clings to that a writer has to write with a pen and paper. It refuses to accept typing is readily available and is always legible unlike my writing most of the time. Deciphering my handwriting to type up later is time consuming and in NanoWriMo time means more words. Next postWriting, failure and new beginnings. Good luck! I hope you use those beautiful new notebooks. I’m the same way with buying new planners and notebooks because they are my addiction. I’m also prepping for NaNoWriMo and me being a procrastinator (why do I do this to myself?) I’m running a bit behind my organizing/prep schedule. Good luck too! I think I could get a PhD in Procrastination so NaNoWriMo will be a challenge. Notebooks are made too pretty. Thank you, I have a feeling I will need all the organization and chocolate to get me through this challenge. Yes, some notebooks are almost too pretty to use. WOW, You have inspired me to get more organised. I am impressed.